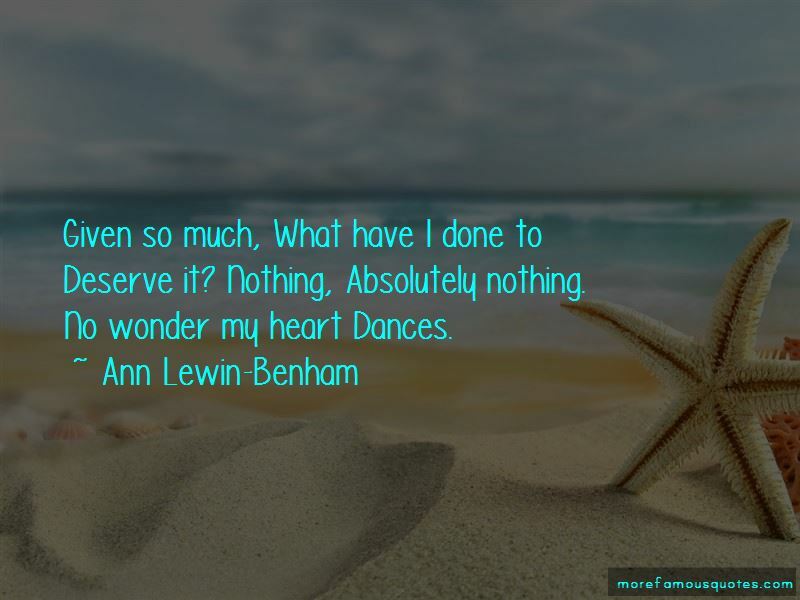 Enjoy the top 3 famous quotes, sayings and quotations by Ann Lewin-Benham. Given so much, What have I done to Deserve it? Nothing, Absolutely nothing. No wonder my heart Dances. 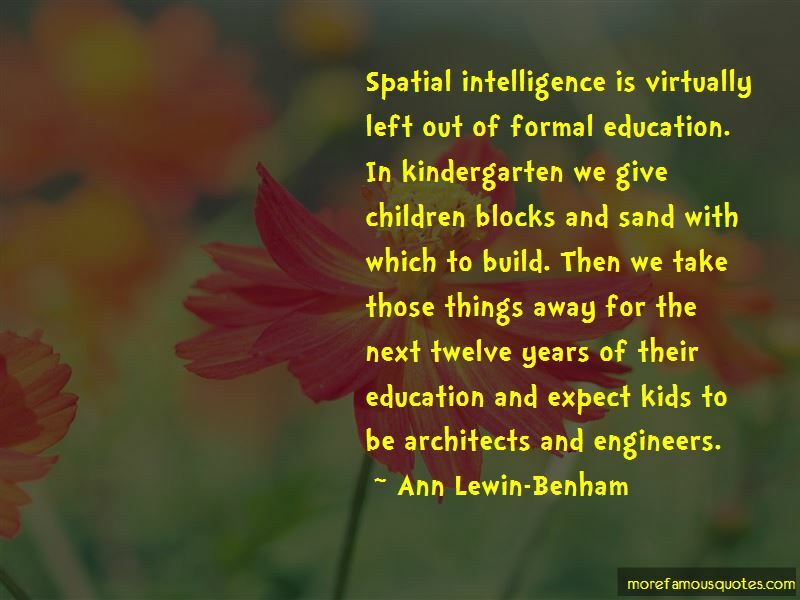 Spatial intelligence is virtually left out of formal education. In kindergarten we give children blocks and sand with which to build. Then we take those things away for the next twelve years of their education and expect kids to be architects and engineers. Want to see more pictures of Ann Lewin-Benham quotes? 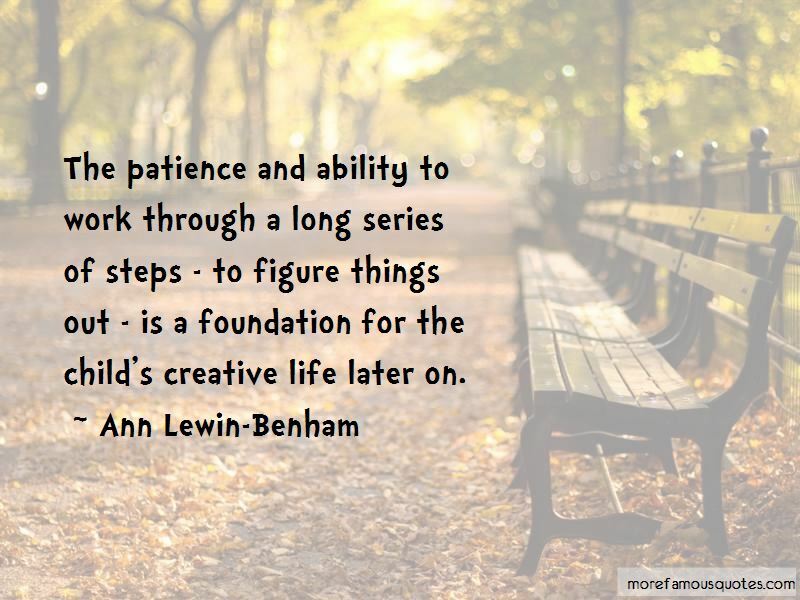 Click on image of Ann Lewin-Benham quotes to view full size. “Im such a work in progress at the moment, its crazy, and life wants me on edge, I swear to you. But as” — Robert Downey, Jr.